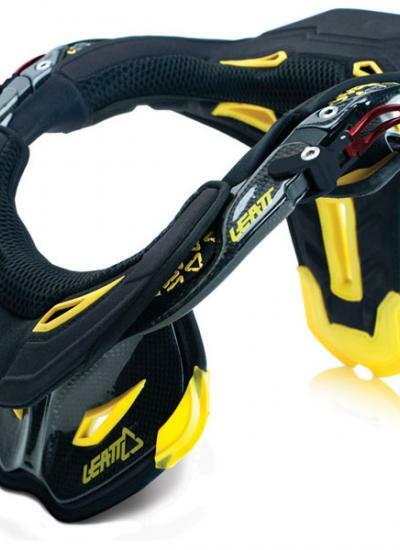 The Leatt® Pro neck brace is the pinnacle in neck brace technology! The Pro brace features a fully ventilated carbon-fiber chassis with completely redesigned, open-cell padding. The Pro Brace is the lightest, most ventilated and most comfortable brace we have ever designed and, like all Leatt-Braces®, is built around Alternative Load Path Technology™ to give you the confidence needed to compete at the top of your sport! 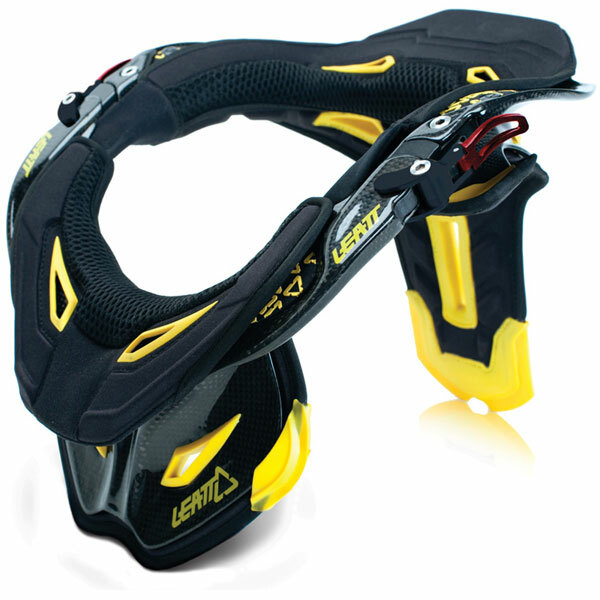 The lightest Leatt-Brace® available 600g ± 50g! Anodized CNC spring loaded aluminium hinges are easy to use for both left- and light handers. Its bright red colour ensures easy identification by paramedical personnel in an emergency situation. New open celled light weight Velcro-free padding is removable & washable. Engineered Collarbone cutout to help keep your helmet and brace away from one of your most fragile bones. Unique one piece rear support (thoracic) designed to break away in severe impact scenarios. Comes with harness system with quick-release buckles. On-board rear thoracic angle adjustment. Adjustable sizing to fit riders acording to Leatt® size chart.